I think we aptly named our article about the last trial. The judge, as the customers of this absurd process is in a difficult position. The reason is the people. A full house always judicial district does not allow to relax those who are trying to discredit me. 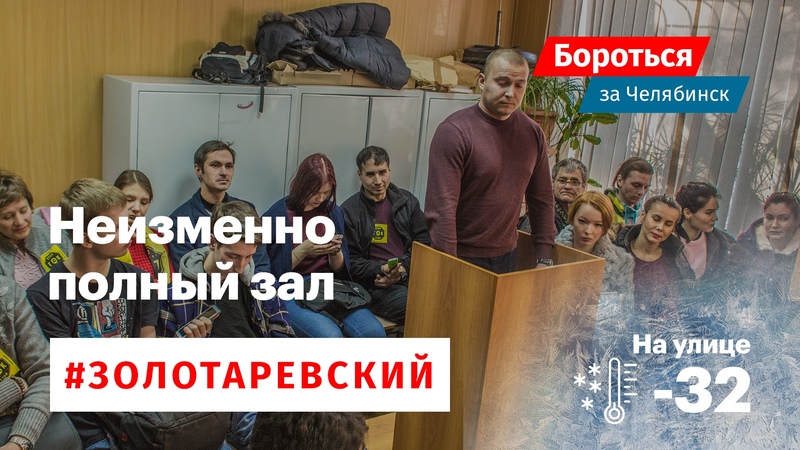 Their goal is to prevent the mayoral campaign and our project staff for the dismissal of Dubrovsky. But with each hearing, that goal is farther. Everything I write about the court — a funny detail, the nuances. The main characters and the most important participants in the process — you, dear. Thank you for your support and incredible warmth to these -32°C. See you on February 15th at 14:00 all the same. Detailed text and photos about second meeting in our website: https://shtab.navalny.com/hq/chelyabinsk/1431/.